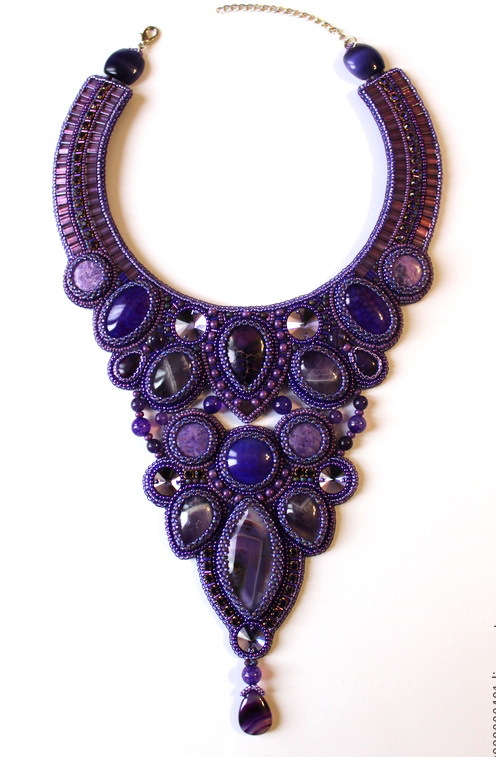 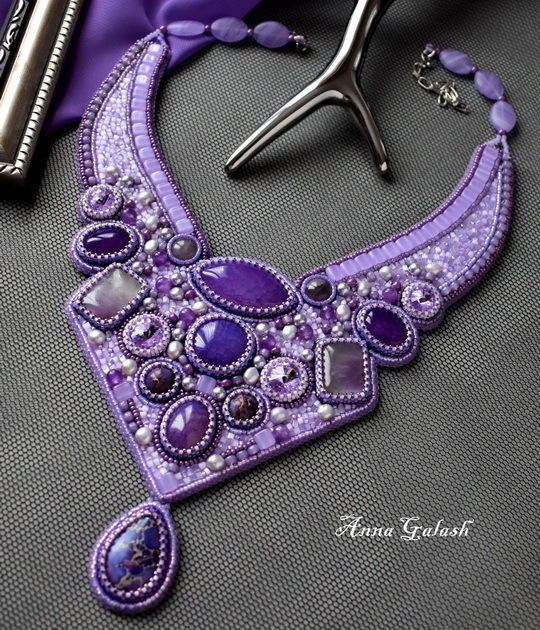 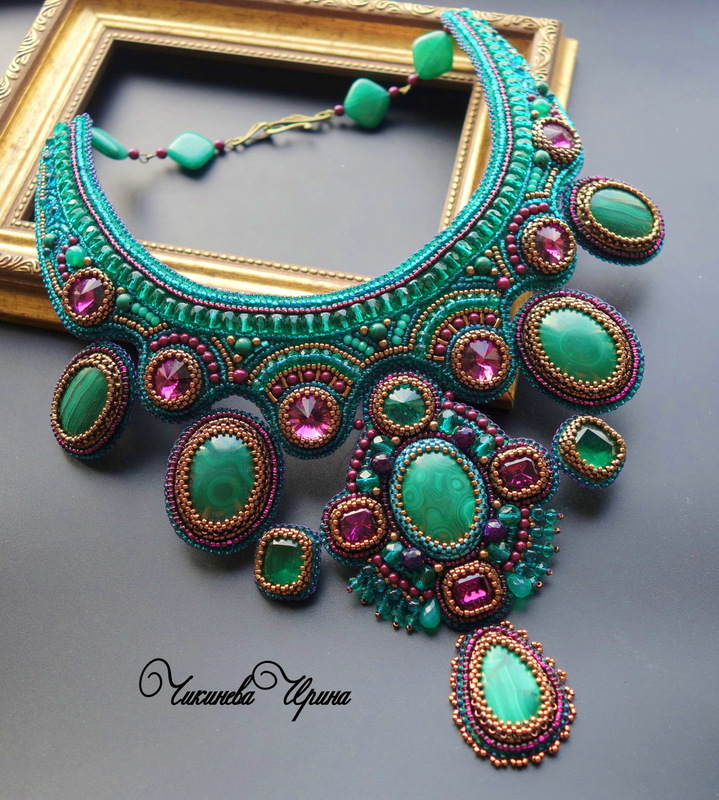 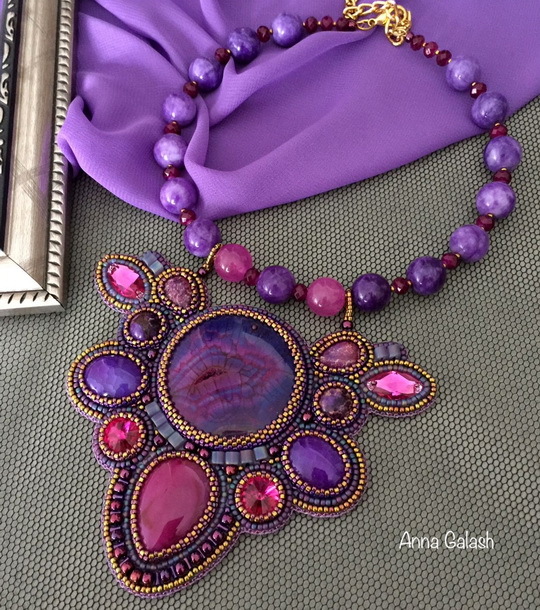 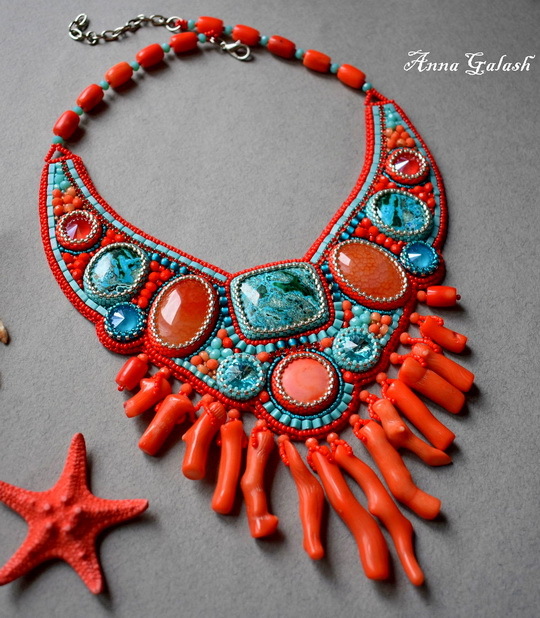 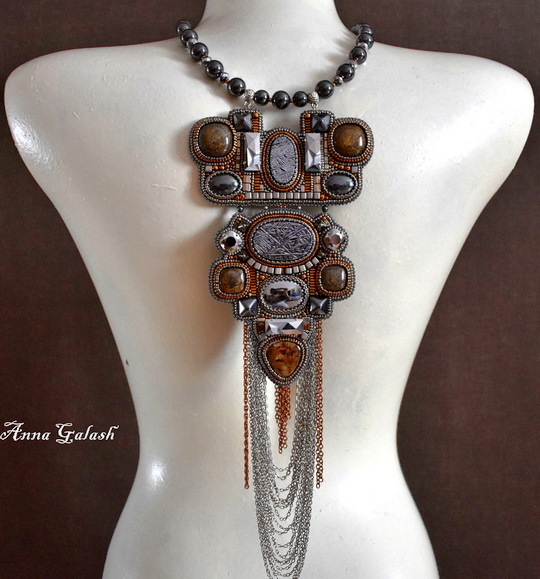 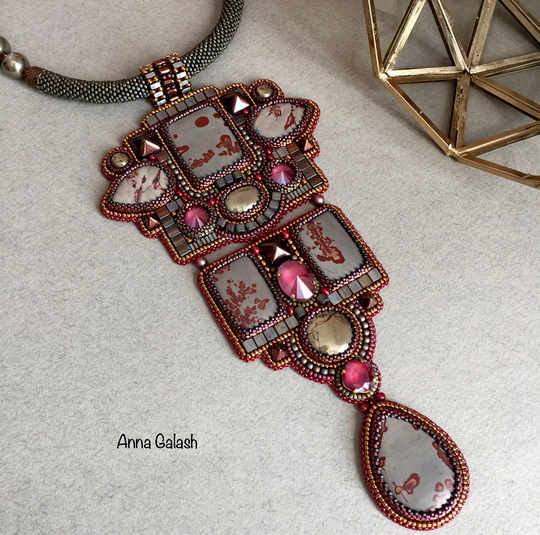 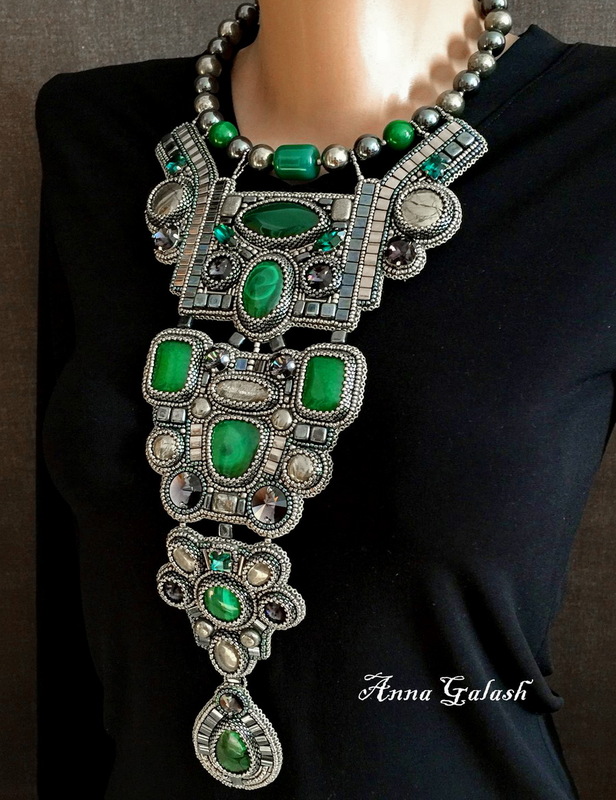 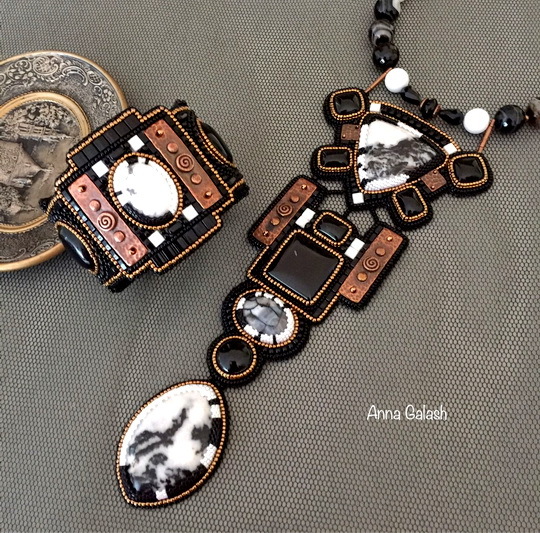 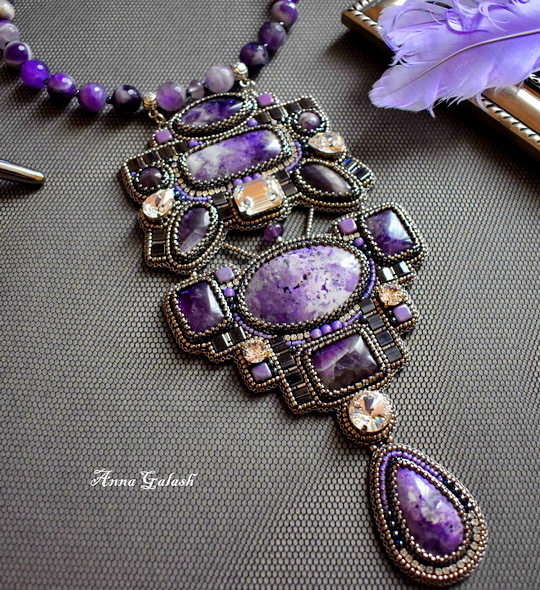 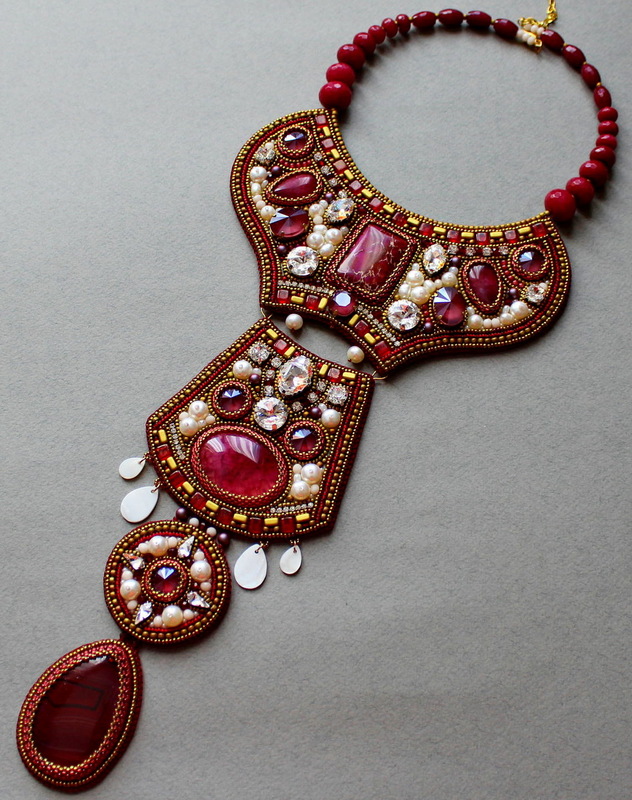 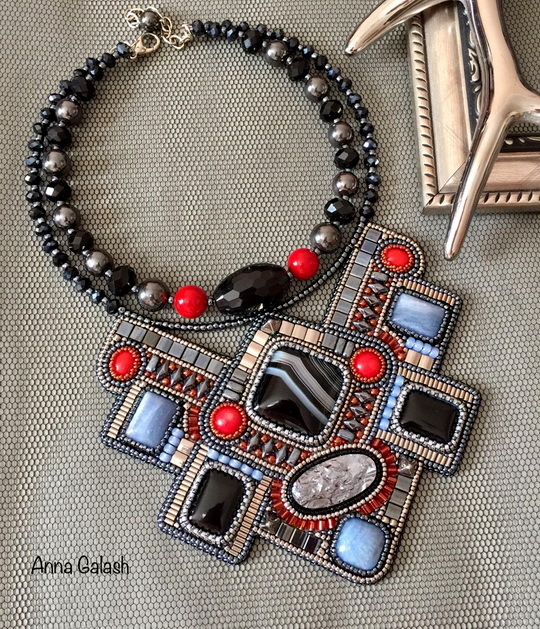 Anna Galash is talanted bead artist from Ukraina who makes amazing jewelry in bead embroidery technique. 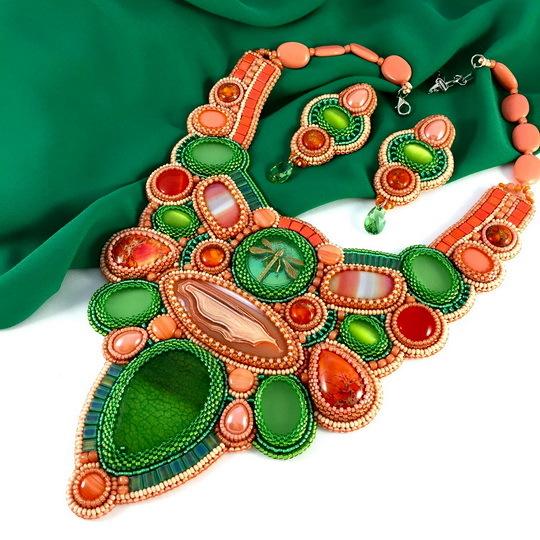 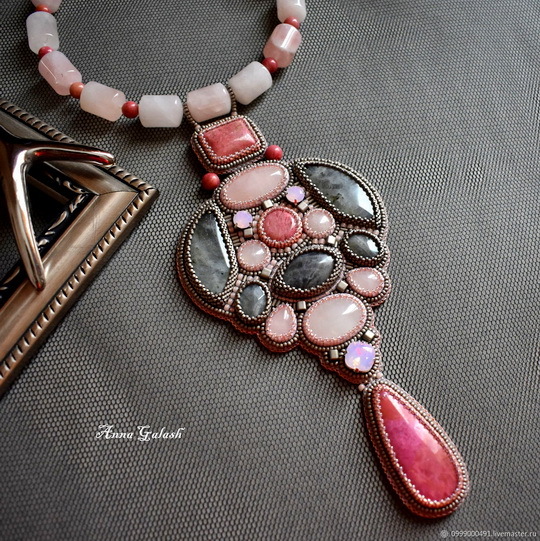 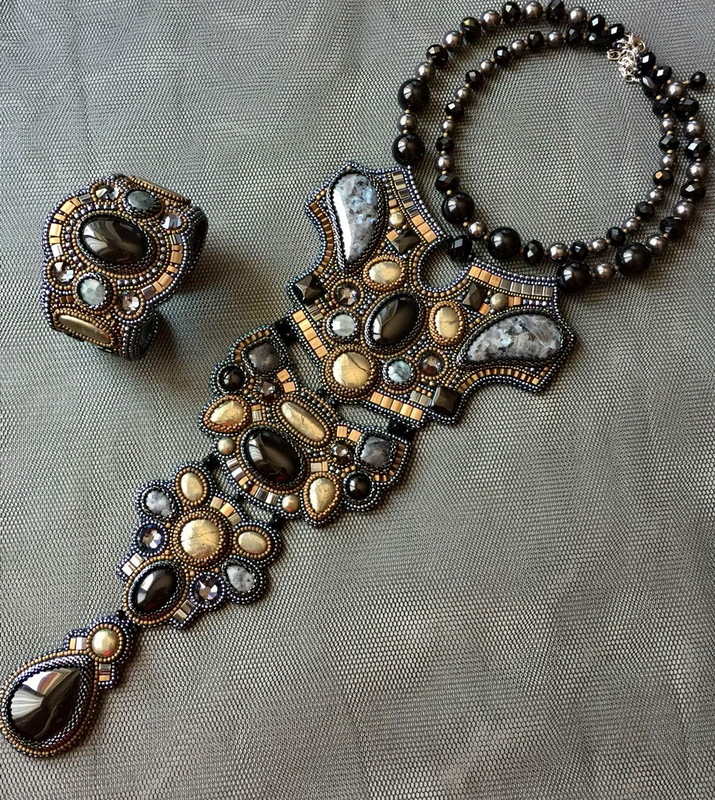 She likes to use different beautiful gemstones, japan and czech seed beads, tila beads and swarovski crystals. 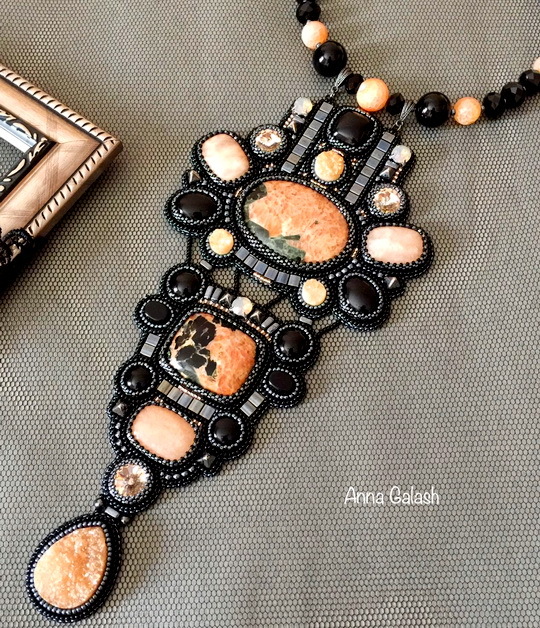 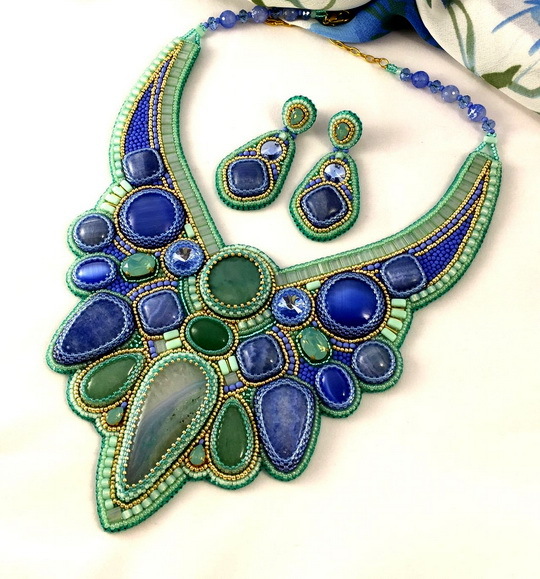 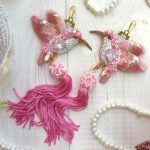 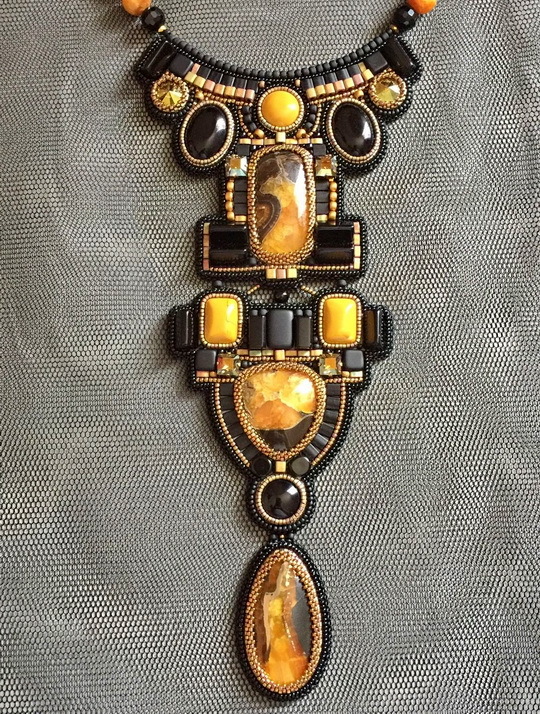 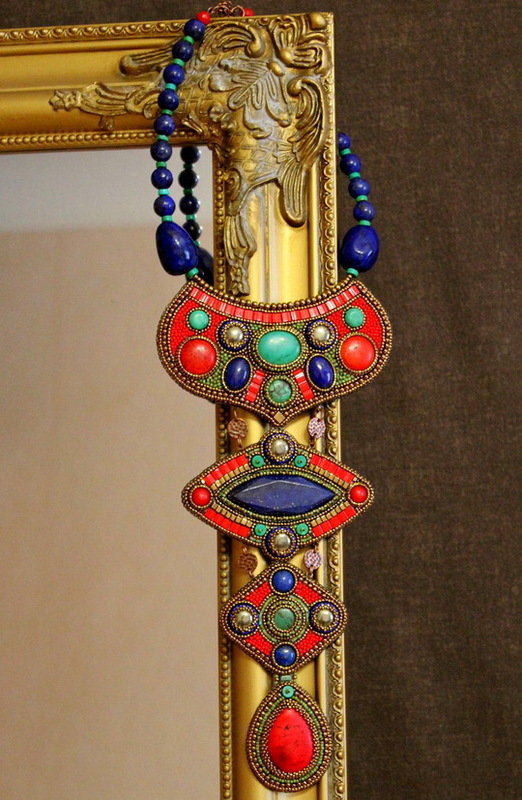 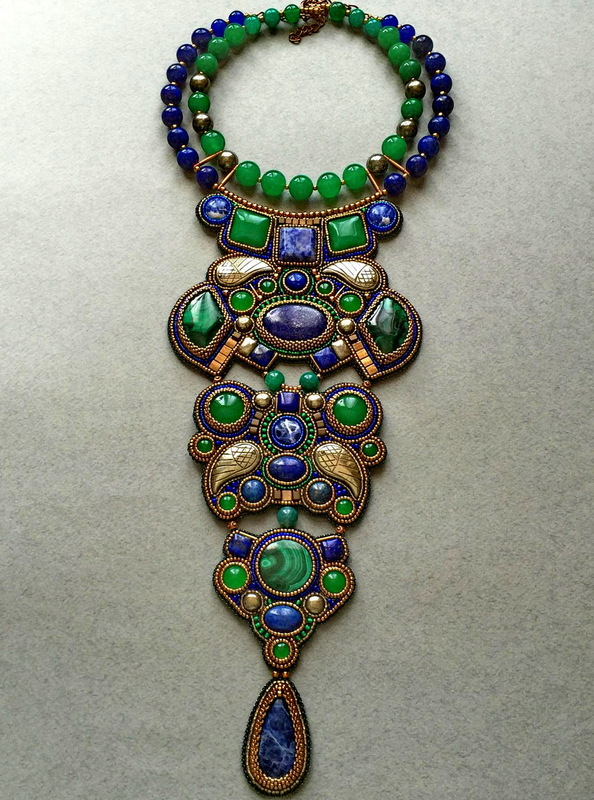 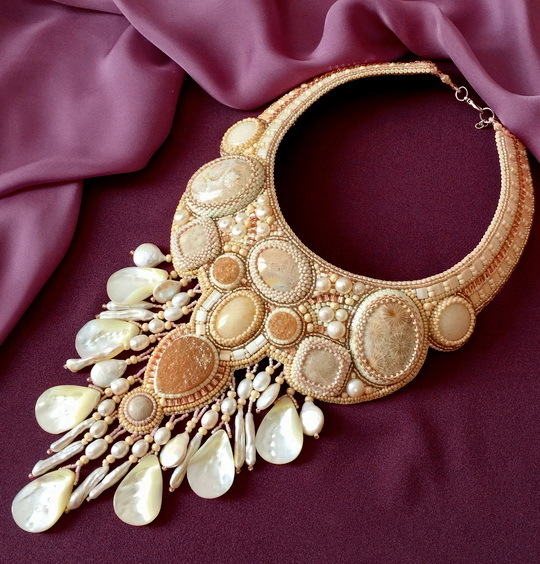 We already made one post about her amazing jewelry, u can find it on this link – beadsmagic.com/galash. 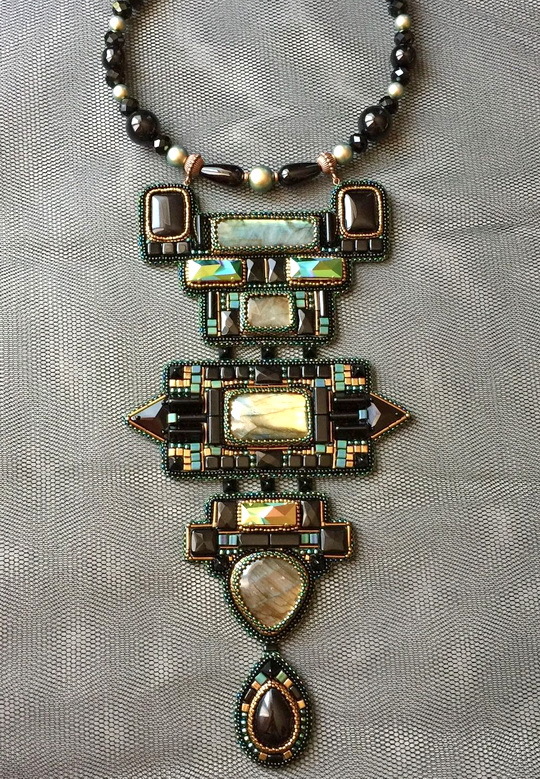 Here is some of her new work. 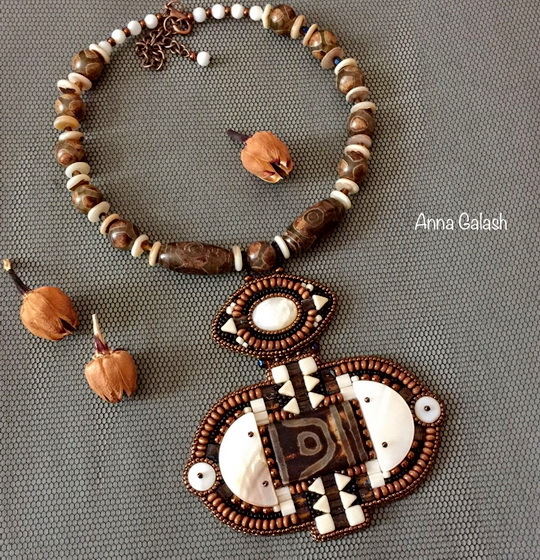 Un travail magnifique, c’est admirable !!! 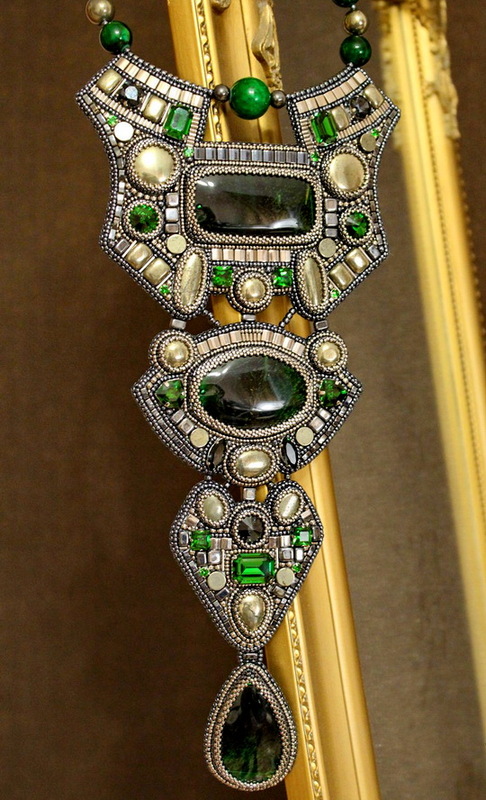 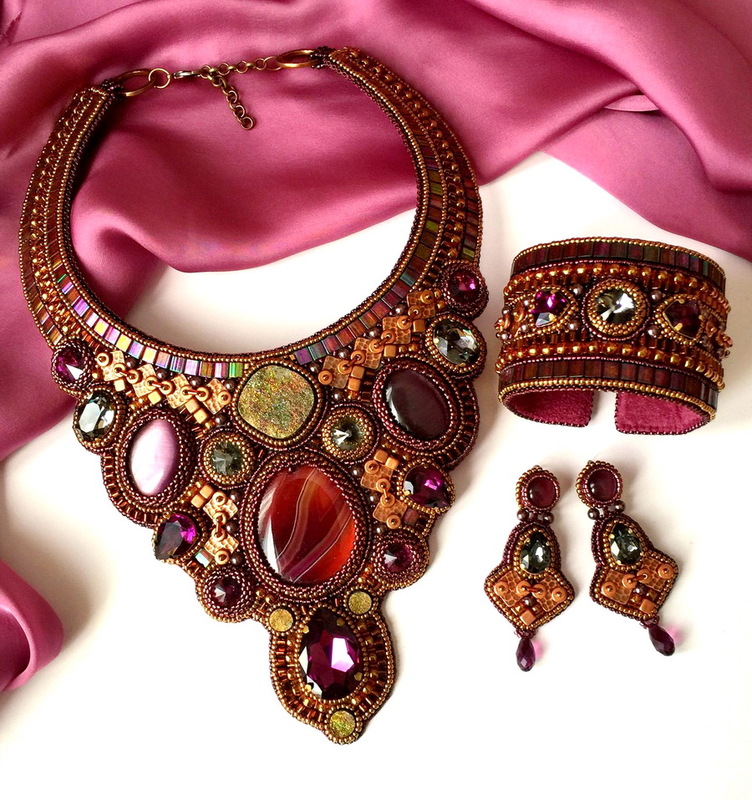 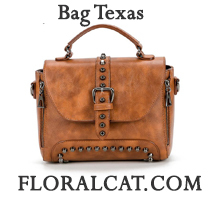 Fantastic pieces.. no other way to describe them. 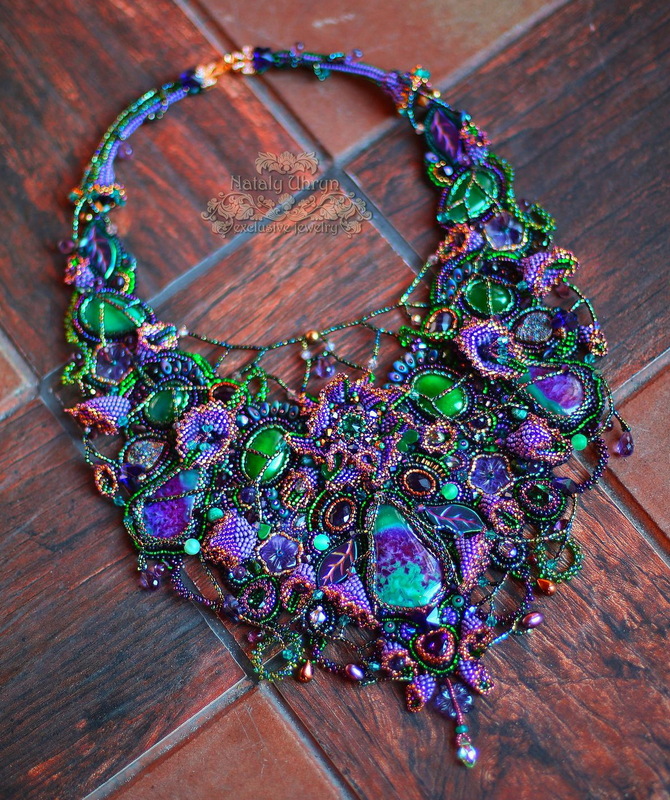 WOW, Is all I can say. 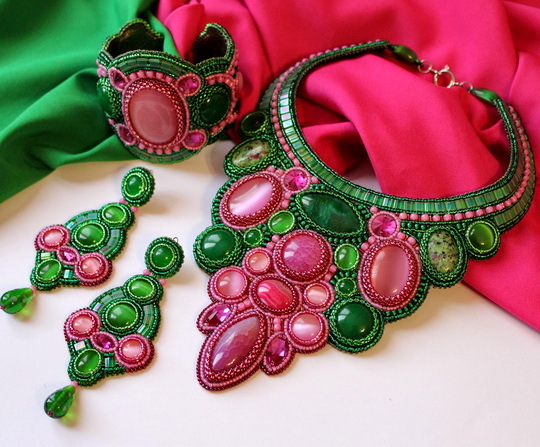 You make me what to bring out the beads. 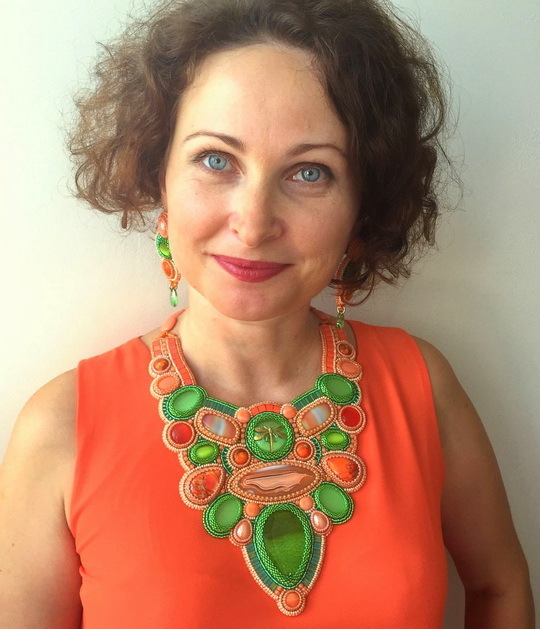 Keep inspiring us all.